Brimming with healthy Vermont choices for a delectable breakfast. 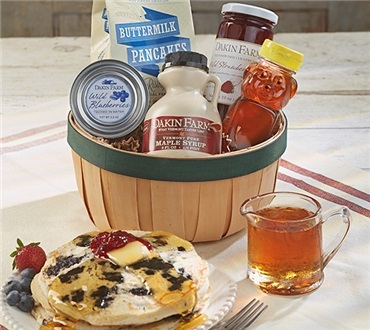 Our cute country basket is brimming with the perfect toppings for the breakfast table as well as the ingredients for luscious blueberry pancakes. Have this most of the time for Sunday breakfast.